Early childhood certification, designed to prepare students to teach children up to the age of eight. Clinical practice is an integral part of initial teacher education experience at Southern Illinois University Carbondale's Teacher Education Program. Students are placed in a variety of public schools to ensure exposure to social-economic, racial, cultural and linguistic differences among students and teachers. Offering an academic experience that is challenging, exciting, and completely your own. The Office of Teacher Education at SIU has many alumni who have gone on to do extraordinary things both in and out of the classroom. They shape the future. They change lives. 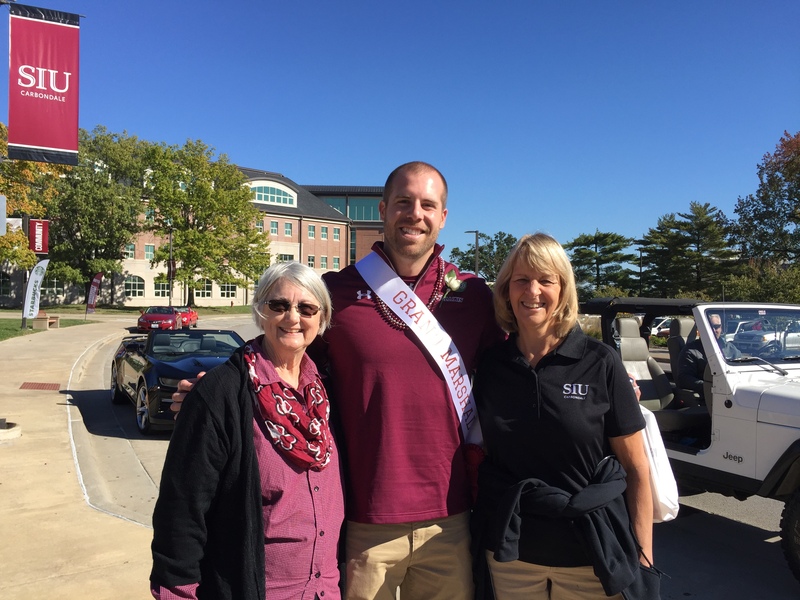 Jason Seaman, a 2012 graduate, was chosen as the Grand Marshall of the 2018 Homecoming Parade after he garnered national attention as a result of his heroic actions during a school shooting in Noblesville, Indiana on May 25th. Mr. Seaman, a science teacher and coach at Noblesville West Middle School, was shot while directly intervening to stop the shooter. He minimizes his heroic actions and continues to focus on supporting his students, especially the 13-year old who was also injured in the shooting. During a press conference Seaman told reporters, “Her courage and strength at such a young age is nothing short of remarkable." During his time in the Teacher Education Program, Mr. Seaman completed four semesters of clinical practice and preparation at two of our partner schools. He spent two semesters at Murphysboro Middle School, under the supervision of cooperating teacher William Moore and two semesters at Pinckneyville Elementary School, under the supervision of Cathy Decker and Londa Campbell. Upon completion of the program, Mr. Seaman earned a Professional Educator’s License in elementary education as well as middle school endorsements in general science, Language Arts and Social Science. We are proud of Mr. Seaman’s dedication to his students and quick thinking in a time of extreme stress! He has proven to be an exemplary Saluki! Learning Behavior Specialist I endorsement prepares teachers to teach students with disabilities, ages Pre-K to 21. Career as infant development specialists; early childhood teachers and administrators; teacher and parent educators; family service workers; and teachers of children in elementary schools. Every effort is made to secure a range of placements for each student during their clinical practice.